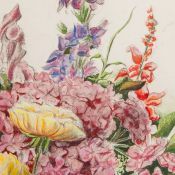 Original watercolor study of Ranunculas, Delphinium, Hydrangeas. 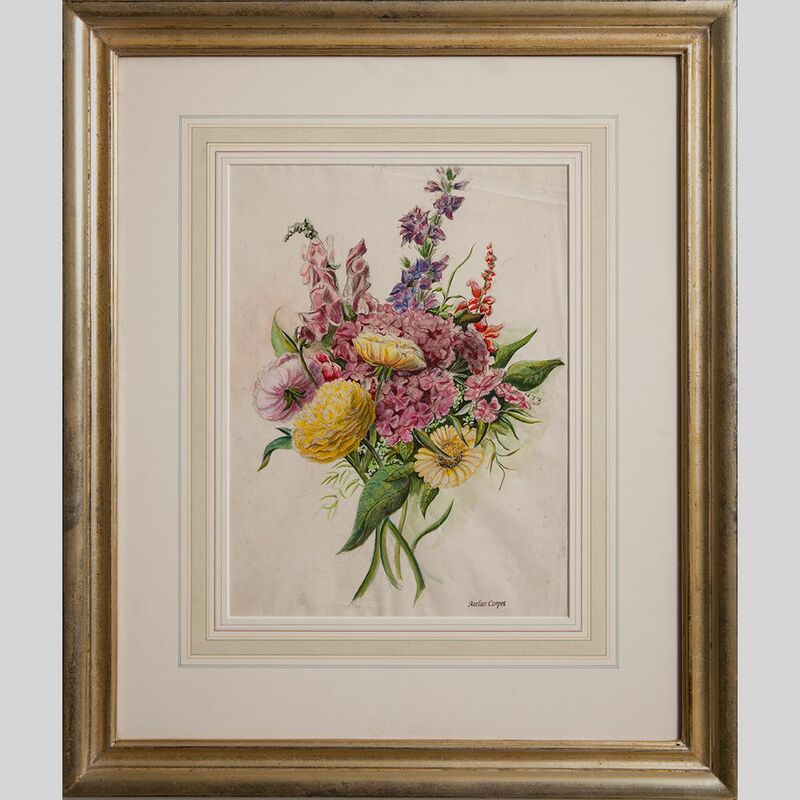 Custom French matting and gilt on wood frame. 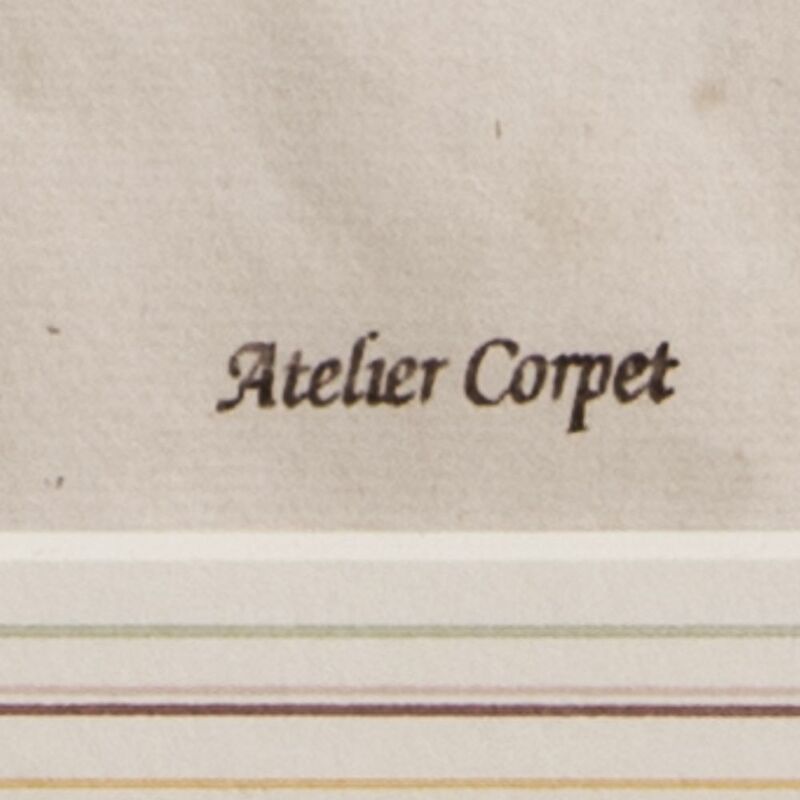 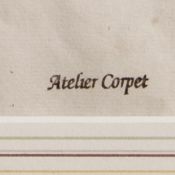 Signed Atelier Corpet. 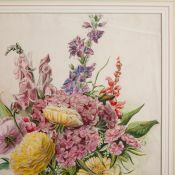 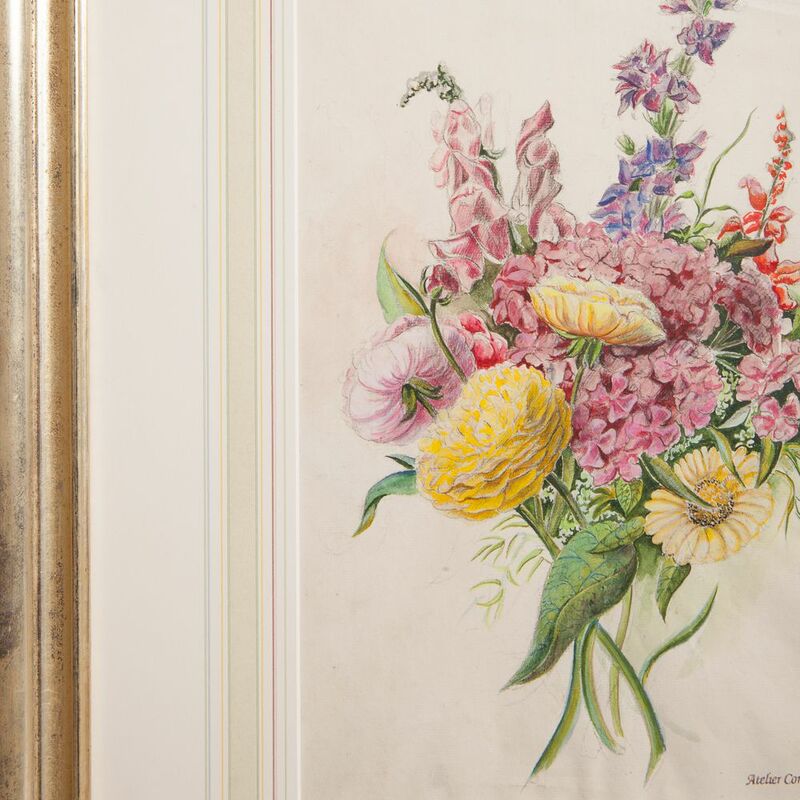 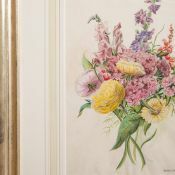 Charles Etienne Corpet was a 19th century painter known for his floral studies.